You have already voted for this game, thanks. Want to change your votes? Set in a post-apocalyptic world strewn with cast-off machines, Primordia tells the story of Horatio Nullbuilt, a stoic robot who values his solitude and independence. Horatio spends his days studying the Book of Man, sparring with his droid companion Crispin, and tinkering with the airship they call home â€” a peaceful existence that becomes threatened when a rogue robot steals the energy source that the pair needs to survive. This will be a classic. 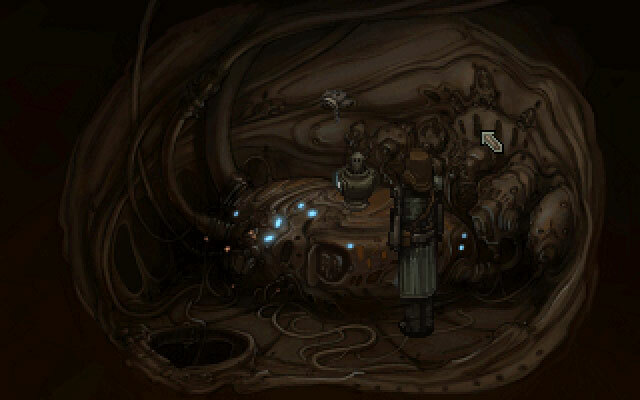 One of the best modern point&click adventure. 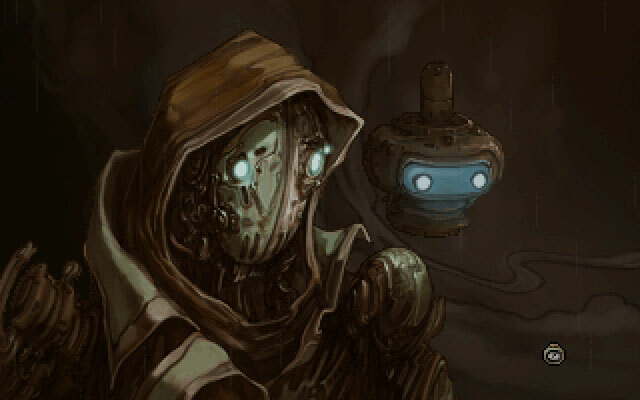 Primordia is one of those Must Play adventure games that takes you back to the good'ol days of quality adventure gaming! Highly recommended! It's a crime this doesn't have any AGS awards. Seriously. A crime. Great atmosphere and plot. Contains mature, original and multi-dimensional writing with much attention to detail. There's some very original perspectives and philosophical concepts touched upon in this game, and nothing is black & white. Really immerses you in its world and had me thinking about it long after. Animations are a bit robotic (ha), so couldn't give it a full score, however, I have no doubt this is the best AGS sci-fi bar none. I really enjoyed this. Some of the puzzles where fantastic! And I really enjoyed the multiple possible paths. I got a bit lost with the pacing in the middle but it ended strong. 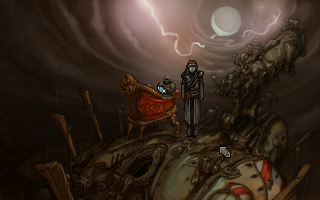 Primordia was an experience I will never forget. One of my favorite games of all. Don't you think Crispin sounds just like Sheldon from Big Bang Theory? This is for the Demo, since that's what's available here and I have yet to purchase the full game. This game is fantastic. The setting is wonderful, unlike anything I've played before, and full of atmosphere. The art is amazing, and the programming is top notch. The story itself is intriguing and unique, and the voice acting is superb. I think that the pacing and puzzles are perfect. This is a great example of what adventure gaming is all about. I can't think of anything negative to say about this game, and I fully intend to buy the full version.